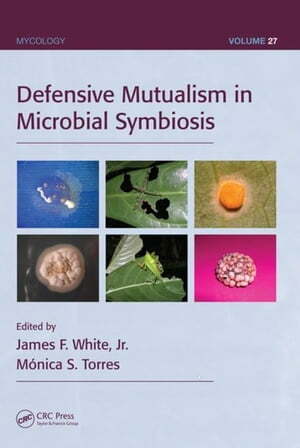 Collins Booksellers - Defensive Mutualism in Microbial Symbiosis by White Jr., James F., 9781420069327. Buy this book online. by White Jr., James F.
Anemones and fish, ants and acacia trees, fungus and trees, buffaloes and oxpeckers--each of these unlikely duos is an inimitable partnership in which the species' coexistence is mutually beneficial. More specifically, they represent examples of defensive mutualism, when one species receives protection against predators or parasites in exchange for offering shelter or food to its partner species. The past 20 years, since this phenomenon first began receiving attention, have been marked by a deluge of research in a variety of organism kingdoms and much has been discovered about this intriguing behavior. Defensive Mutualism in Microbial Symbiosis includes basic ecological and biological information on defensive mutualisms, explores how they function, and evaluates how they have evolved. It also looks at the implications of symbiosis defensive compounds as a new frontier in bioexploration for drug and natural product discovery--the first book to explore this possibility. The book expands the concept of defensive mutualisms to evaluate defense against environmental abiotic and biotic stresses. Addressing the topic of defensive mutualisms in microbial symbiosis across this wide spectrum, it includes chapters on defensive mutualistic associations involving multiple kingdoms of organisms in terrestrial and aquatic ecosystems--plant, animal, fungi, bacteria, and protozoans. Defensive Mutualism in Microbial Symbiosis unifies scattered findings into a single compendium, providing a valuable reference for field researchers and those in academia to assimilate and acquire a knowledgeable perspective on defensive mutualism, particularly those involving microbial partners.